Visiting wild Antarctica is like visiting another planet. It is a place of eerie and unearthly beauty, a place of peace and tranquility. Except for the crack of calving ice, the call of a penguin, or the splash of a seal, its stark landscape seems as silent as falling snow. Under an international treaty, Antarctica has been designated for peaceful scientific research. However, a loophole in the treaty and subsequent agreements allows the harvesting of Antarctic krill along the Antarctic Peninsula for commercial purposes. Krill is a meal for a seal, a bird, a penguin and a whale. Decreasing the quantity of in this small shrimplike crustacean in Antarctic waters could potentially reduce the populations of the species that rely on it to exist. According to Penguin Lifelines, which monitors penguin populations, the chinstrap and Adelie penguin colonies on the Antarctic Peninsula are already declining due to climate change. Those populations could be impacted further by krill harvesting. Krill is also an important food source for crabeater, fur, leopard and Weddell seals; sea birds such as albatrosses, petrels and terns; and squid and baleen whales. Since the 1970s, krill has also become a nutrient source for humans. It is used in certain Omega 3 vitamin supplements and is sometimes fed to farmed salmon. It's time to rethink the loophole that allows this. 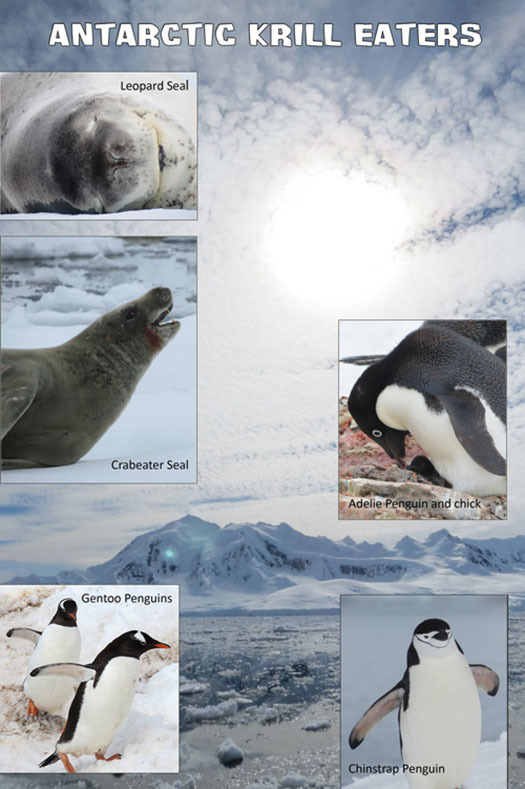 Why risk disturbing the delicate ecological balance of the Antarctic Peninsula when industry can find a substitute, and the creatures who live there cannot? What can ordinary people do to help? Avoid products containing Antarctic krill. Check with suppliers of farm-raised salmon to see if their salmon are fed krill. And visit websites like Seafood Watch, operated by the Monterey Bay Aquarium, to make informed choices about the seafood you eat. Help ensure the survival of species that dwell in one of the last unspoiled places on earth.